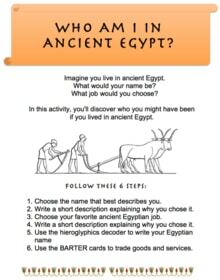 Are you looking for homework help on ancient Egypt's gods and goddesses? Here is a quick cheatsheet for you. I created this handy reference guide to the Egyptian pantheon. 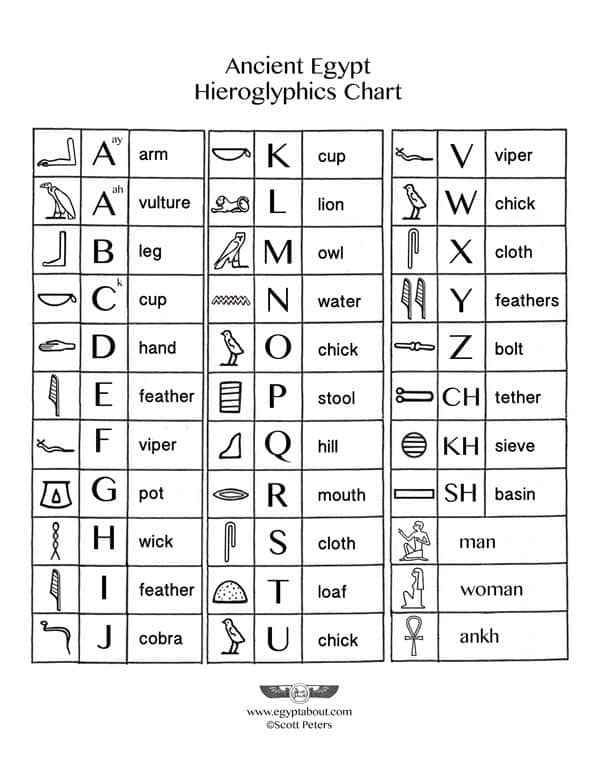 It's a list of the gods of Egypt, along with a quick description of each god or goddess. Who is Amun? Amun is the Egyptian god of air and primeval creation. He created himself and then the world. He wears a plumed crown and his name was thought to mean "the invisible". Who is Anubis? Anubis is the Egyptian god of the underworld, death, mummification, funerals, mourning. 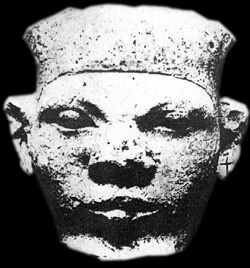 He is often represented as a jackal-headed man carrying an ankh. 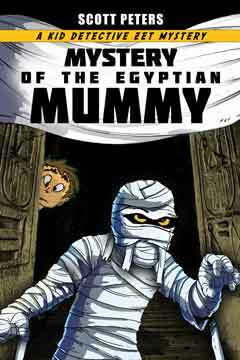 He was important because mummies couldn't exist without him. 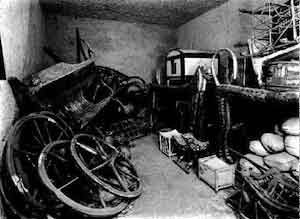 In fact, when priests were making a mummy, they wore a jackal-headed Anubis mask to help them while they worked. Who is Bastet? Bastet or Bast is the Egyptian cat goddess. Egyptians loved their cats. 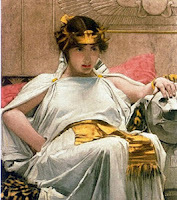 She's shown as a cat-headed woman, or as an actual cat. People liked to wear cat charms for protection, and she was very protective over families. Bastet could fight off chaos using her sharp claws or sometimes even a knife. Who is Bes? Bes is the Egyptian god of humor, who appeared in the form a strange looking dwarf. He could make babies laugh, using antics only visible to them. Wearing a Bes charm could protect you from snake and scorpion bites. Best of all, Bes could bring you lots of good luck! Who is Geb? 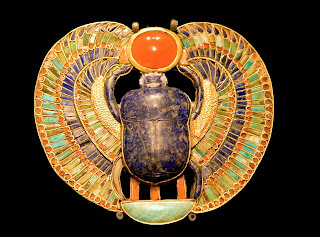 Geb is the Egyptian god of the earth. His laughter was responsible for creating earthquakes, and he also caused crops to grow. He's the husband of Nut, goddess of the sky. Before air was created, they used to be stuck together. No one could walk around on earth! Fortunately Shu, the god of wind, appeared and pushed them apart. 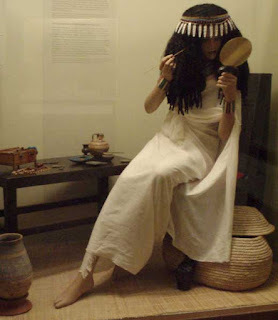 Who is Hathor? Hathor is the Egyptian goddess of love, music, beauty, fertility, and dancing. She's represented as a cow-headed woman with two horns, sometimes as a roaring lioness, and sometimes as a cow with a sun disk between her horns. Who is Horus? Horus is the Egyptian god of war, sky, and falcons. His eye is known as the Wadjet Eye and is used as a protective talisman or amulet. Horus is represented as a falcon, or as a falcon-headed man. He is the son of Isis and Osiris. Who is Ma'at? Ma'at is the Egyptian goddess of truth, justice and of keeping order between humans and in the natural world. Ma'at is reprensented as a woman with a feather on her head, and she sometimes has wings. Ma'at stands in judgment over souls who have died and weighs their hearts against her feather to determine whether they're worthy to pass on to the afterlife. Who is Nut? 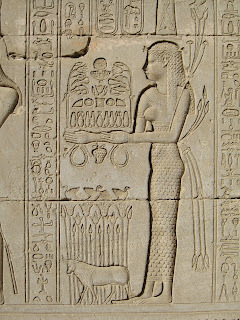 Nut is the Egyptian goddess of the sky, stars, and the heavens. She is the wife of Geb. Who is Osiris? Osiris is the Egyptian god of life (green represents living plants), death (thus his mummified body), rebirth and the annual flooding of the Nile. Osiris is represented as a man wearing a white crown; he has green skin and often appears mummified. Osiris is the husband of Isis, and father of Horus. Who is Ptah? Ptah is the Egyptian god of creation who is said to have dreamed the world into existence. Ptah is represented as a man wearing a skullcap and often wears a beard. Ptah is the protector of architects, builders, and craftsmen. Who is Ra? Ra is the sun, or a sun-headed god. The god of the sun, he is born in the morning, travels across the sky, dies every night and passes through the underworld until he is reborn once again. For a time, he was king of the gods. Who is Sobek? Sobek is the crocodile-headed god. They say his sweat created Egypt's rivers! The god of crocodiles, he controlled the waters. 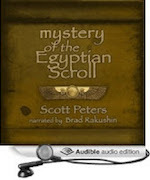 He was a friend of Horus, but feared by most living Egyptians. Make sure to bookmark this cheatsheet of ancient Egyptian gods. Whether you need a quick reference to the sun god Ra facts, the ancient Egyptian goddess Bastet, the Egyptian women gods, or the rest of the ancient Egyptian deities, they're here in this quick gods of Egypt facts cheatsheet.